The powerful 2200mAh built-in battery can effectively provide 120% additional battery life to your iPhone 5/5S with Apple MFI Certified. Featuring a fully protective hardshell case with the minimum added bulk. Enjoy the comprehensive protection while still maintain the slim form factor of your iPhone 5 / 5S. Featuring a lightning input port and lightning output port, the case has data and power pass-through enabled. Your iPhone 5/5S can be charged and synced while encased via the Lightning cable (not included). LED power indicator for battery power level, on-off power to control when to use the extra power. 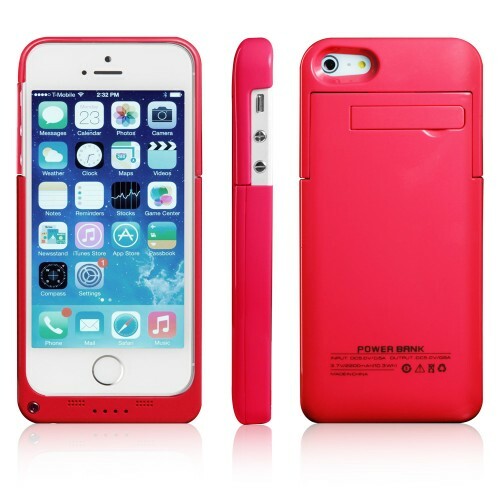 iPhone 5/5S Battery Case also has the following functions built-in: charging switch, LED battery level indicator, charge & sync through the case, headphone jack cutout, function button cutouts and hands-free kickstand. 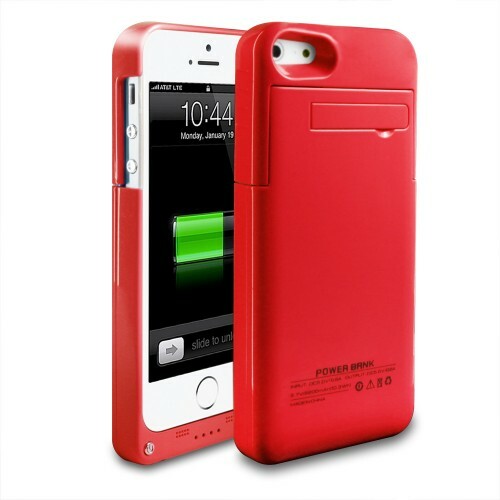 Get the extra power you need for the iPhone 5 / 5S with the all-New YellowKnife iPhone 5/5S Battery Case. The best part, the Case provides your iPhone 5/5S with premium protection against the wear and tear of everyday living, while it is still small enough to fit easily in your hand or in your pocket. With its light-weight, simplest bumper design, the Case does an outstanding job to power and protect your iPhone 5 / 5S while still keep its minimal form factor. 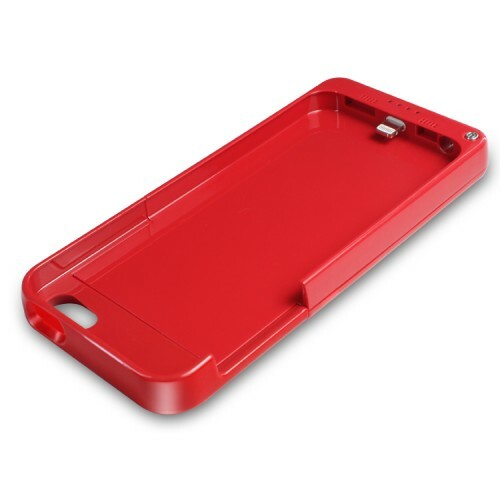 The rubberized slim sleek profile protective case keeps your iPhone 5/5s safe with out adding extra bulk. Protection from drops, bumps and scratches. On/Off function to control when to give your phone extra power. The LED indicator lights will show the status of the case's battery life. Easy access to all functionalities - Volume, headphone jack, speakers, camera and power. The internal battery of 2200mAh provides 1 full charge providing hours of extended use! 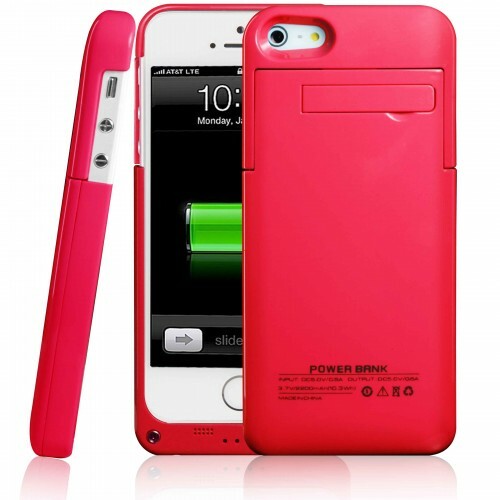 This case will double your iPhone 5/5s battery life. Note: Please remove any screen protector from the backside of your iPhone 5 if it cannot fit very well.